The five naked-eye planets, Mercury, Venus, Mars, Jupiter and Saturn, have been seen since ancient times to wander the night skies of planet Earth. So it could be remarkable that on this night, standing at the side of a clear, calm lake, six planets can be seen with the unaided eye. Have a look. Very bright and easy to spot for skygazers, yellowish Mars is left of a pale Milky Way. Saturn is immersed in the glow of the Milky Way’s diffuse starlight. Jupiter is very near the horizon on the right, shining beyond the trees against the glow of distant city lights. 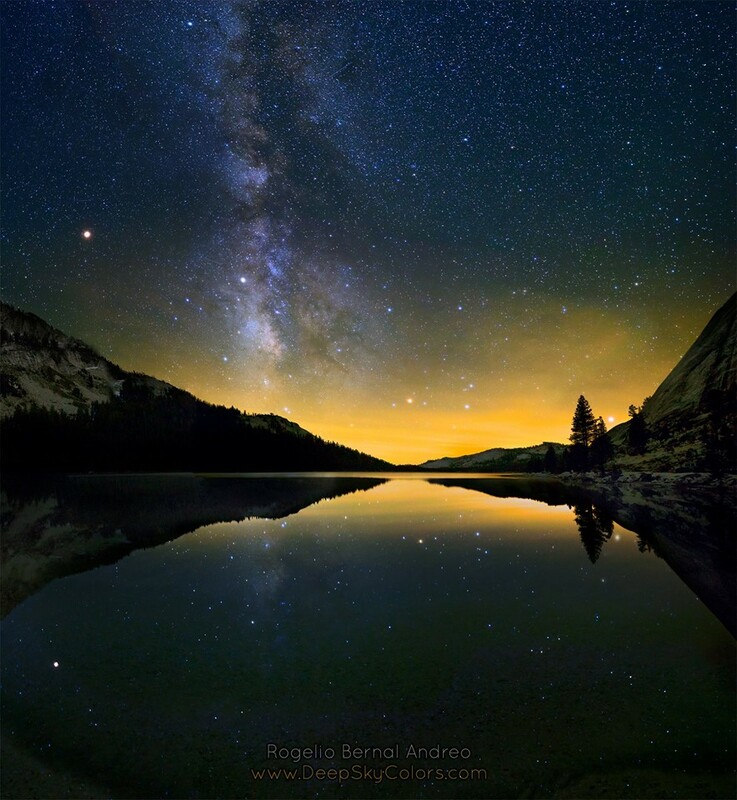 Last weekend, while admiring this night time view across beautiful, high-altitude Lake Tanaya in Yosemite National Park, a thoughtful and reflective observer could probably see three planets more. Posted on Thursday, 14 June 2018 by VGC	This entry was posted in ifttt-photograph and tagged IFTTT, NASA. Bookmark the permalink.